The story of Jesus is frequently limited to the telling of the babe of Bethlehem who would die on the cross and three days later triumphantly exit his tomb in resurrected glory. Frequently skimmed over or left aside is the story of the Jesus of Nazareth who confronted systemic injustice, angered those in power, risked his life for the oppressed and suffering, and worked to preach and establish the kingdom of God - all of which would lead to his execution on Calvary. 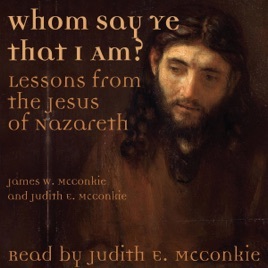 In this insightful and moving volume, authors James and Judith McConkie turn to the latest scholarship on the historical and cultural background of Jesus to discover lessons on what we can learn from his exemplary life. Whether it be his intimate interactions with the sick, the poor, women, and the outcast, or his public confrontations with oppressive religious, political, and economic institutions, Jesus of Nazareth - the son of a carpenter, messiah, and son of God - exemplified the way, the truth, and the life we must follow to bring about the kingdom of heaven.